Invoices are a culturally acceptable way of asking for payment. 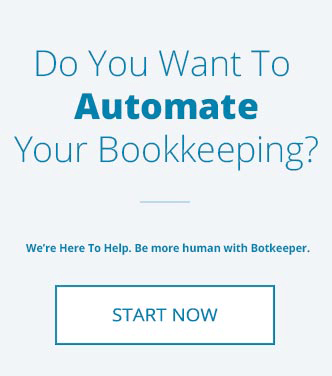 After you set up your customers, let’s create invoices. 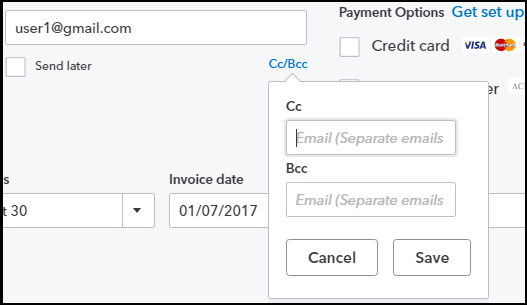 There are two options from where you can create an invoice using QuickBooks Online: on the >homescreen or from the customer centre. Step 1 - On the home screen, click on “+” button and select ”Invoice”. From the ”Customer centre” located in the navigation bar on the left hand side. Select a customer for which you want to create the invoice. On the upper right hand side, there is a button called ”New Transaction”. Step 2 - From the dropdown, select ”Invoice”. A new screen will open. Step 3 - Choose a customer that you want the invoice for. Enter the ”Email id” of the customer if you want to email the invoice to the customer. If, while creating the invoice, Email id is already set up it will populate automatically. You can overwrite it and even add more email ids as CC and BCC. Step 4 - Fill in the payment terms, invoice date and due date. “Due date” is calculated on the basis of payment terms selected but you can overwrite it. “Due date” is required so that you can calculate overdue bills. Step 5 - Select the “Product/Service” to be invoiced, fill in description, quantity and rate. If you have “Product/Service” already set up with all details, “Description” and “Rate” will get populated automatically. Step 6 - After filling in all the details, you can either save and close this invoice or you can select to save and send. If “Save and close” is selected, it will save the invoice and take you back to the previous screen i.e. home page or customer centre depending on where you started creating the invoice. If “Save and new” is selected, it will save the invoice and you will be prompted to enter details for a new invoice to be created. If “Save and send” is selected, it will save the invoice and take you to a new window to send the mail. Step 7 - Confirm that the email addresses are correct and click on “Save and close” on bottom of the right hand side. Your invoice will then be sent to the email addresses. When customers pay their bills, here's How to Receive Payments in QuickBooks Online. 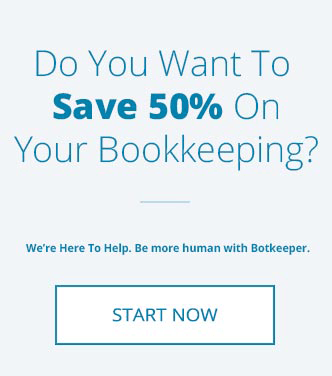 Need any help with your accounting? Nibble Snack Shop: Snacking as it should be!